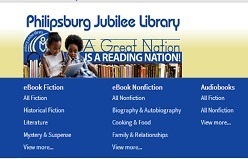 The Philipsburg Jubilee Library started in 2009 with a Bookmobile Outreach Program funded by AMFO for children between the ages of 4 and 12 years. 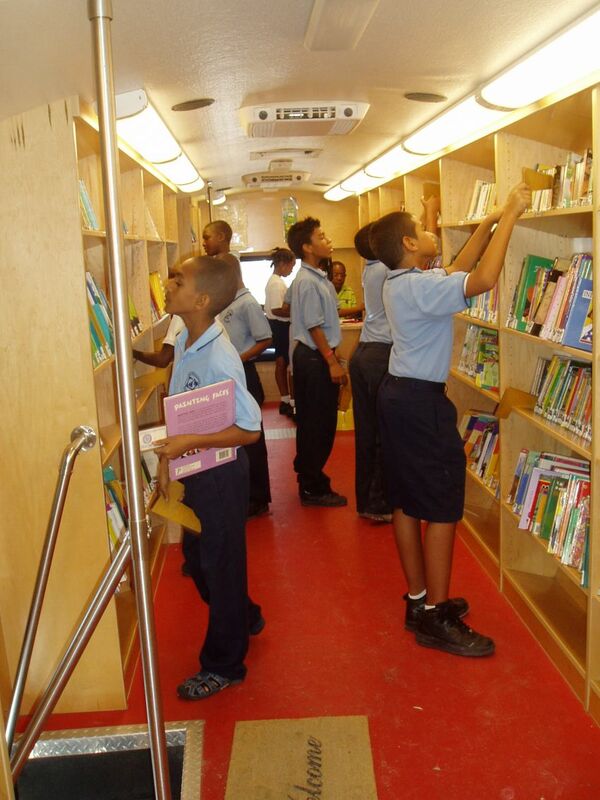 Within the framework of this program our bookmobile visits community centers and afternoon schools all over the island. During the bookmobile visits children not only get the chance to make use of bookmobile books but they can also participate in different kinds of educational and entertaining activities. Main bookmobile activities are storytelling, handicrafts, coloring and reading related games. By promoting the reading of books we hope to contribute to the language development of the children and most importantly to show them that reading is fun! Looking for the right book! The most intensive period of speech and language development for humans is during the first three years of their life, a period when the brain is developing and maturing. A child begins to acquire language skills by learning it as it is spoken and by mimicry. It is therefore very important how you speak as a leader at the daycare centres. The children are copying you, even if you are not speaking directly to them. Children who are behind in their language development can potentially have problems at school and in their social lives. 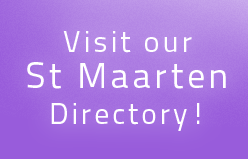 We see this happening here on Sint Maarten. Always striving to enhance its services, the Philipsburg Jubilee Library with the support of AMFO will now also provide services to daycare centers. Participating daycare centers will receive a "Read to me" book box with 25 books to stimulate speaking and language development in babies and toddlers. As a pilot project, the library will offer this service to 10 daycare centers as of March 2011. During the week the bookmobile visits various primary schools. 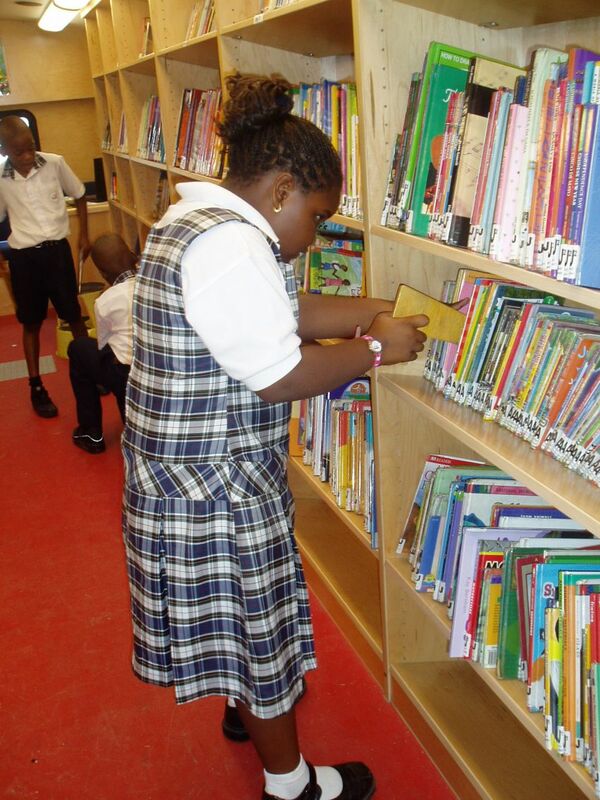 The bookmobile visits two schools per day from 8 a.m. to 12 p.m. covering grades 2 to 6. Please contact us for a detailed schedule of the bookmobile visits.